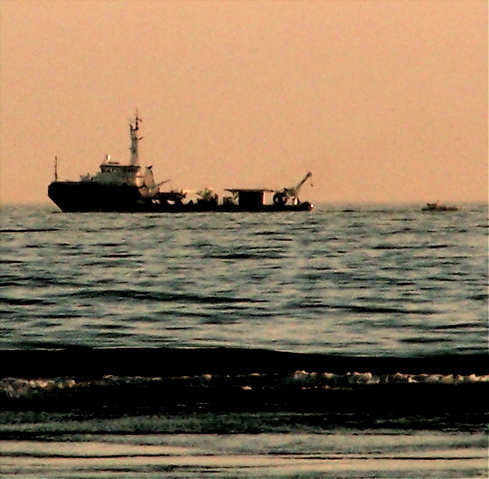 Two skimmer vessels collect bunker oil offshore of Bolinas Beach late Friday afternoon. Although spilled oil had not yet reached Stinson Beach or Bolinas Beach as of Friday evening, several dozen oily birds had washed up still alive, or had been found dead, or could be seen still swimming just offshore. An 900-foot-long container ship, the Cosco Busan, at 8:30 a.m. Wednesday hit a plastic-and-concrete fender protecting a Bay Bridge tower. The collision tore a hole in the ship’s hull, causing 58,000 gallons of bunker oil to spill into San Francisco Bay. Over the next three days, much of the oil drifted out the Golden Gate and is now miring birds along the West Marin Coast. The collision in heavy fog did not damage the bridge tower (the second west of Yerba Buena), but it left a 100-foot-long, 12-foot-high gash in the ship’s hull. The Cosco Busan is owned by a Regal Stone Ltd. of Hong Kong but leased to Hanjin Shipping of Seoul, South Korea. The pilot, John Cota, 59, of Petaluma, has 26 years of experience, and Coast Guard tests of crew on the ship’s bridge found no indication that alcohol was involved in the mishap. The results of drug tests are still pending, and the reason why the ship was off course has not yet been determined. However, the pilot’s attorney on Friday told The San Francisco Chronicle that shortly before the collision, the Coast Guard by radio had questioned the ship’s heading and that Costa radioed back that the navigational aids on the Cosco Busan indicated the ship would pass midway between two towers. The radio transmissions were recorded. 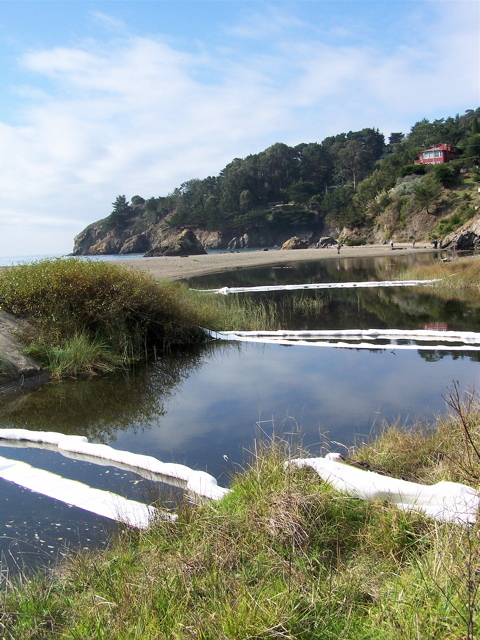 Booms keep oil from backing up Muir Beach’s Redwood Creek at high tide. A few oiled birds, along with oily seaweed, were found at Muir Beach. 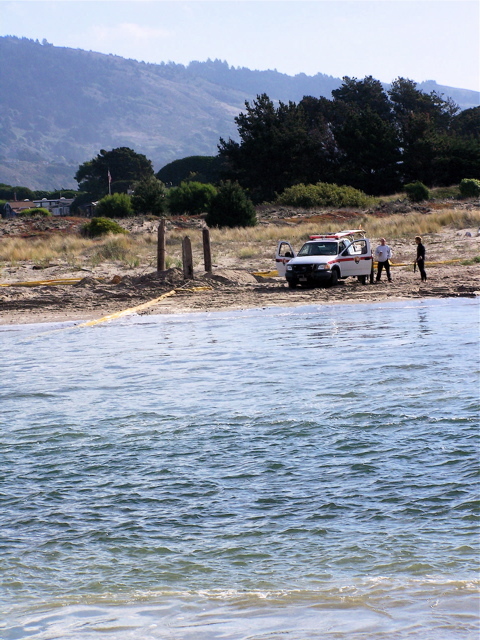 Thursday night a boom was strung across the mouth of Bolinas Lagoon’s channel, but the tide in and out of the lagoon created more of a current than the boom could withstand, as Stinson Beach firefighters here confirm. Friday night a second boom was installed, but it too could not handle the current and let the tide through. A third attempt was made for Saturday night. But it failed, as did a fourth attempt Sunday. 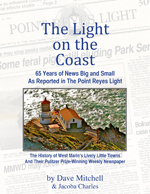 For many Bolinas residents, the accident brought to mind the mammoth 1971 spill that resulted when two oil tankers, the Oregon Standard and the Arizona Standard, collided in fog off Angel Island. Each tanker had been carrying more than 100,000 gallons of bunker oil, and the two ships — unable to separate — drifted out the Golden Gate. 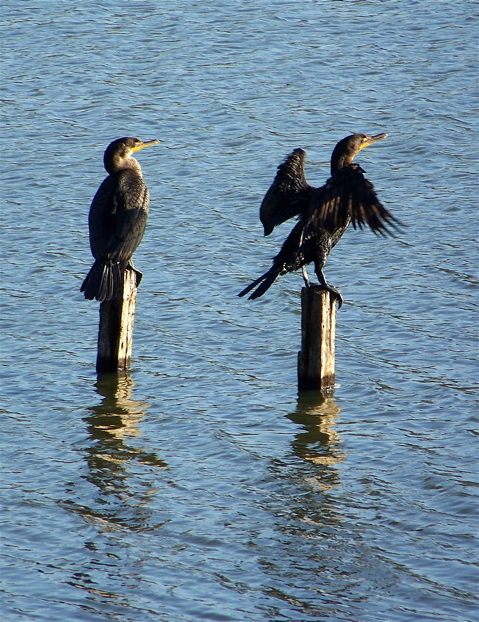 More than 10,000 birds died from the oil, many of them along Bolinas and Stinson Beach. 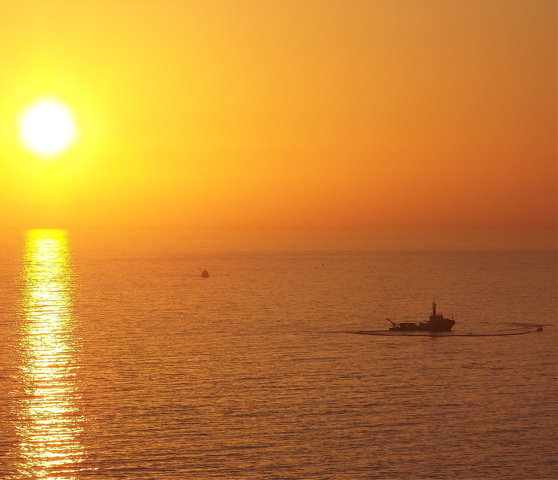 At that time, phone poles were strung across the channel and anchored to posts sunk on both shores. According to West Marin lore, scores of counterculture volunteers who showed up to rescue birds saw Bolinas for the first time and liked what they saw. Some stayed and forever changed the character of the town. Lynn Axelrod writes: For anyone who would want to help but doesn’t know who to contact, please go to owcn.org (oiled wildlife care netowork), run by UC Davis. Right now they are not calling for volunteers from the public, but to find out if they are, one must check the website on a regular basis. When they do, they will have a volunteer form available to be filled out, with your skills (which can be fairly simple), to decide who they need. Sparsely Sage and Timely is powered by	WordPress 4.9.10 and delivered to you in 0.887 seconds using 58 queries.